For the real nostalgia seekers out there, I thought I'd pass along the information that the classic disk magazine, Loadstar, works with the C64Mini. You can purchase all of the back issues of the Loadstar floppy disk magazine from Ramble House, in both .d64 and .d81 disk images, burned on to a single CD; all at a very reasonable price. In order to save on the disk swapping (as just about each issue of Loadstar was on multiple disks), I load up the .d81 version on the Mini. So far, the issues that I've tried all worked (but having a USB keyboard plugged into the Mini helps a lot) and the games and programs I've tried all seem to run just fine. 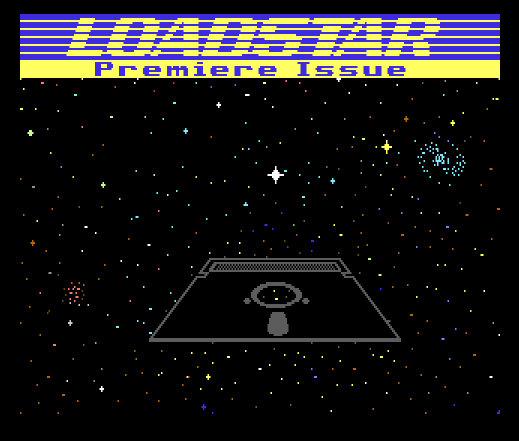 So, if you really want to experience what computing was like on the C64 (or you may have even subscribed to them, back in the day), I suggest you give Loadstar a try. If you'd still like to give a disk magazine a try and not wish to spend a dime, you can always give Commodore Disk User a try. I don't think it's a good as Loadstar, but it still has some pretty interesting software to try out. Loadstar is great, I have most of it in collection. Plenty of things to read, play, learn... really nice stuff. I managed to pull out half of .shp pictures from Loadstar and converted them to Koala / png format. It is more then 800 pics! It is really pity that there are only a few converters for that picture format, especially when it is a standard pic format for DotBASIC+.